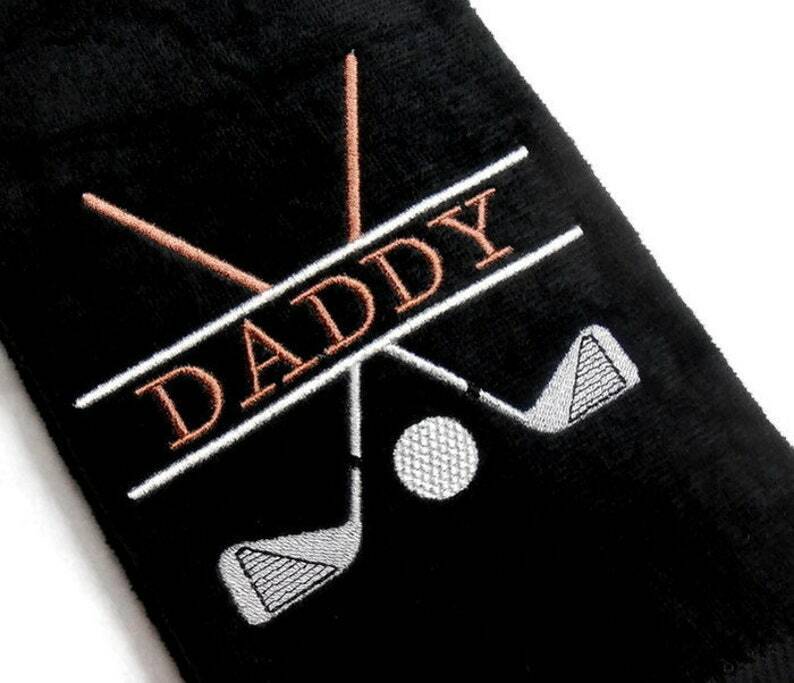 A personalized golf towel is a great gift for the golfing enthusiast. Crossed clubs and golf ball design with a banner for, Dad, daddy, grampa, grandpa, pop pop, papa, or custom name. The design measures approximately 5 X 5 inches. Other name options available. The text thread color shown is pro brown. Came out great, thank you!